First of all I want to wish you a happy new year and all the best for 2014! 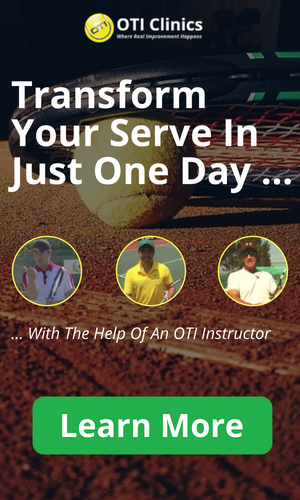 I am very grateful for how 2013 went and the incredible success we had with Online Tennis Instruction would not have been possible without your support so many thanks for that! "This year I want to go from the 4.0 level to the 4.5 level"
Unfortunately these goals are usually forgotten by mid January or February at the latest. The problem with standard new years resolutions/goals is that the resolution in and of itself is too weak to get any major change accomplished. It is human nature to avoid change and that is what's holding most people back from accomplishing their goals. Without any major change in your entire system of how you practice, you will most likely not get anything significant accomplished! So telling yourself or writing something down like "This year I finally want to improve my weak serve" is simply not enough. 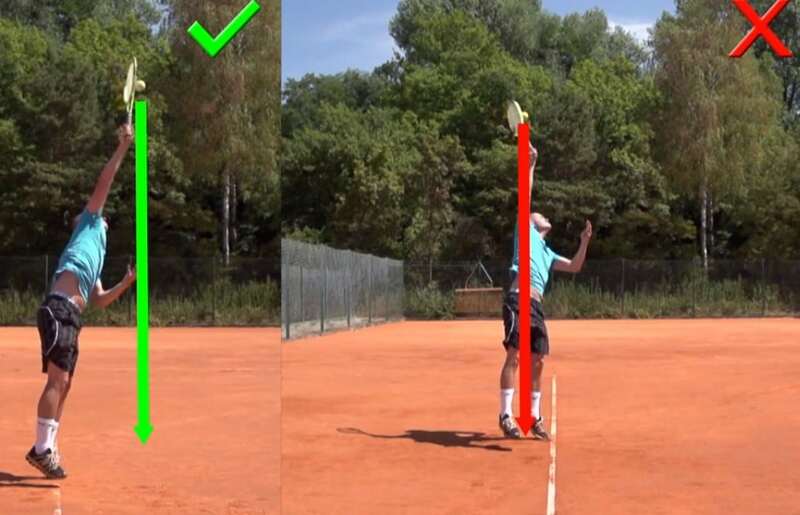 If you want to finally fix a weak serve as an example, you essentially need to change the entire system of how you practice and how you spend your limited time on the tennis court! So let's stick with the example of finally fixing that weak serve this year. Of course the general idea would be the same for any other new years resolution/goal! How could you go about changing the system and assuring that you spend the necessary time on fixing your serve ? #1: Pay in advance for court time to work on your serve! Book a court once a week for an hour for the next 3 months at least, where you go on the court by yourself only with a basket of balls. This is a system change and has a real chance of success, especially if you pay for the court time in advance! If you don't have to pay for the court time during the summer, then you can still schedule a 1 hour serve practice session in your calendar once a week at a set time and I would highly suggest you do not practice with one of your tennis friends before or after this session! You want this session to be entirely about the serve practice and you want that to be the reason for going out to the courts! With this kind of a system change you are not relying on "trying harder to work more on your serve" but instead are forcing yourself to put the time in and that is what makes all the difference! If you are not the type of person to go out on your own, analyze your serve problem and then spend an hour by yourself working on your serve every week, then you can of course do the same thing with a coach! If you are more comfortable working with a coach, then I would highly suggest you book the coach once a week for at least the next 3 months to work on your serve. Of course I would only recommend this if you have the confidence in your coaches ability to fix your serve! I would highly discourage you from simply booking one or two lessons in order to "see how it goes". That is not a system change and highly unlikely to succeed. It is simply too easy to find a reason not to continue when things are not going that well (which they will at some point) and then you will be likely to go back to your old way of practicing! Investing money up front will also make you much more likely to stay with the new program! It makes you more committed and reminds you of the importance this issue has for you because you were willing to spend money on it. By going to a coach you are also getting somebody else in on the mission and as a result another human being will remind you and hold you accountable in regards to the necessary steps to accomplish your goal! I also have an online program planned for this year where I will take on a small group of highly committed students and help you implement system changes as well as hold you accountable and supervise your progress on a regular basis. I have made only one new years resolution, which is more on a personal level. 2013 was a very successful year for my professional career but I also worked way too much and did not spend enough quality time away from work. So my resolution for 2014 is to work less and spend more quality time doing fun things outside of work. I have planned out the first 4 months of my calendar and blocked off several time periods for quality leisure time. This includes an already planned 3 week vacation with a good friend in February and several weekends for skiing trips and other things that I enjoy. I check my calendar every day and by blocking out the dates and already defining what I am going to do during the time and in most cases with whom, I am changing the system rather than just telling myself "I want to work less and spend more time doing fun things outside of work". Let me know how you are going to change your system to achieve what you want to accomplish in 2014 in the comments section below!